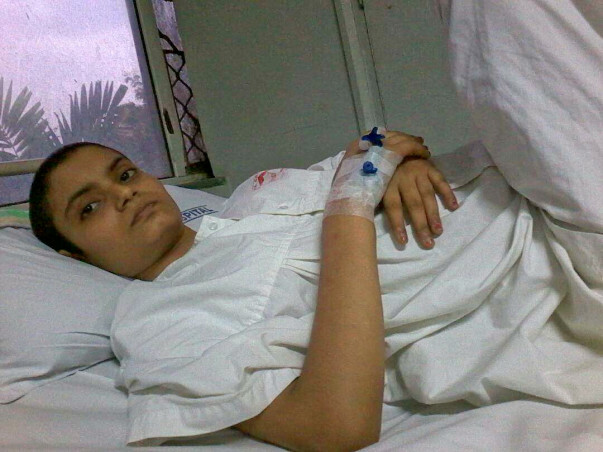 Komal Needs 4 Lakhs To Live A Cancer Free Life- Support Her! “Didi has been living apart from me for six months- and we've never been apart a day in our lives!" 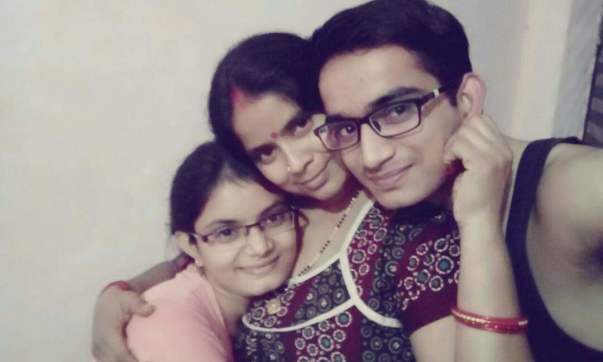 20 year old Vivek says he never thought living apart from his sister would be so hard. His sister- 21 year old Komal is in Mumbai. She has been taking chemotherapy treatment since January 2017. 43 year old Suresh Kumar is an advocate in Kanpur. He has been married to Usha for 22 years. The couple’s two children Vivek and Komal are very close, as they are only a year apart in age. This small and happy family never thought that they would face such trying times. Komal always had stomach pain, even as a child. It was diagnosed at gas. In late 2015, when she started having stomach pain, she ignored it, thinking it was gas again. This time, it was something more serious- ovarian cancer. Komal was in her final year of B.Sc in May 2016, when she underwent surgery for the cyst in her ovaries. After the operation, the family thought their struggles were over. A few months later, the pain started again. They consulted doctors again in Kanpur. Doctors and nurses urged the family for a month that everything was alright. They said that Komal was imagining the pain. After a month, Komal’s legs had begun to swell, and she had liquids in her stomach. She was then diagnosed with further cysts in her ovaries. At this point, the doctors who had said nothing was wrong, began to blame Komal and her parents saying that they delayed in conveying the symptoms. Komal and her parents decided to move to Mumbai for better treatment. 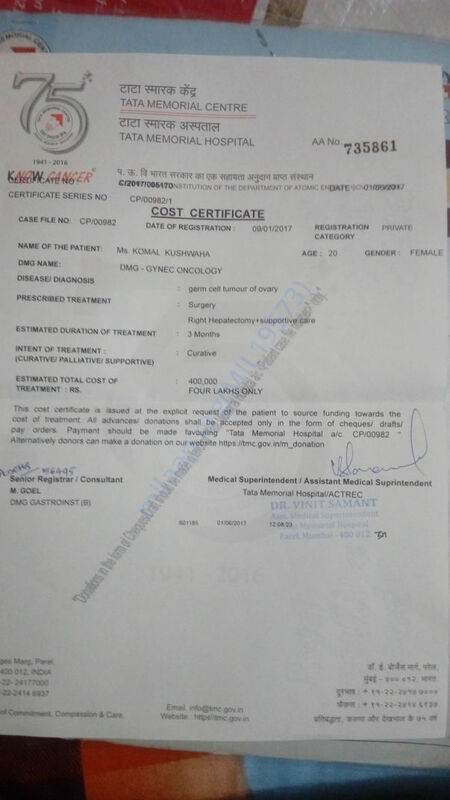 They admitted Komal in Tata Memorial Center, where she now takes chemotherapy treatments once a week. Suresh and Usha are with her in Mumbai. 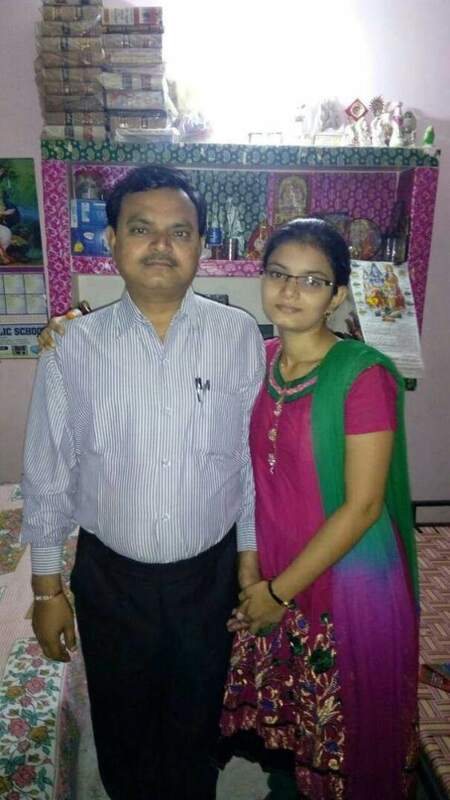 Her brother Vivek has to stay in Kanpur as he is in his second year of engineering and admissions are starting. Suresh and his family have exhausted all their savings. 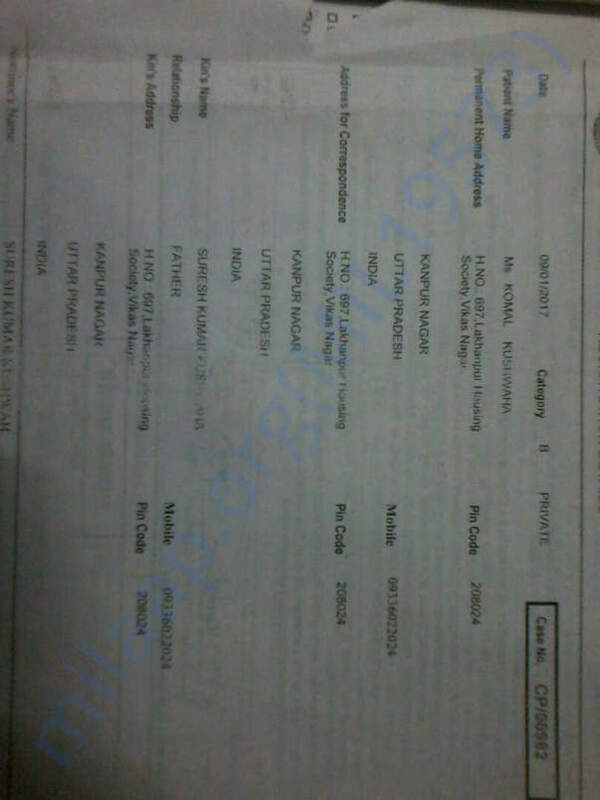 They have spent over 13 lakhs on their daughter’s treatment. 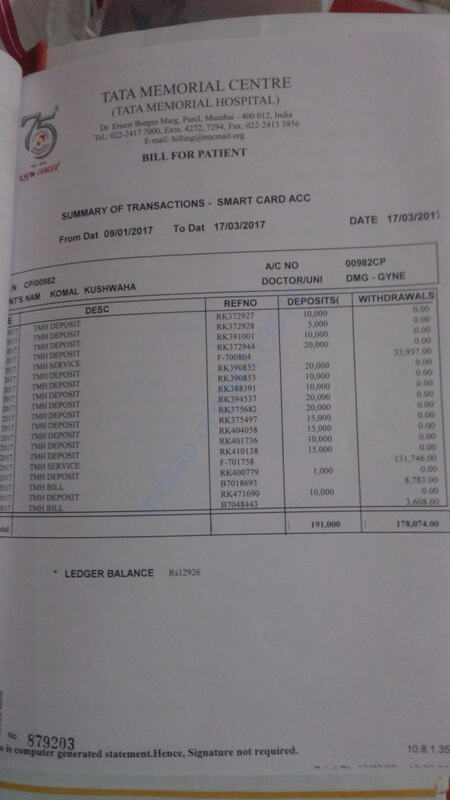 Suresh has not been working since January 2017. The family stays in a rented house in Kanpur- but they also pay for a small cramped house in Mumbai. This father is desperate to save his daughter’s life. All he needs is Rs 4 lakhs for a final treatment. Your contribution can help save Komal’s life! Komal passed away on 10th October. She endured so much pain and fought so hard for her life. There was some liquid formation in her stomach and she was being administered treatment for it. Her body had stopped responding to the medication and the excess liquid had to be drained out of her body on a fortnightly basis. The liquid was removed on 7th October. She developed a lot of pain on 10th October and was being taken to the hospital. Unfortunately, her body was unable to take the stress. She passed away on her way to the hospital. Your timely support ensured that she received the best medical care. Funds raised here will be used to settle the hospital expenses. We are grateful for all the care and support you’ve shown Komal. The past weeks have been very difficult indeed. May Komal’s soul find peace. Please keep her in your prayers. My sister is now at home. 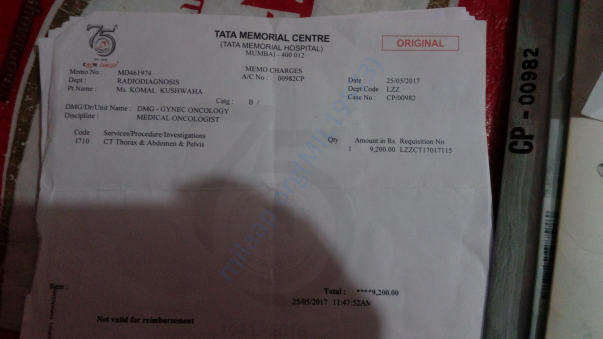 Doctors in Mumbai said us to come after three months and give medicines used in chemotherapy that is to be taken orally. After coming from Mumbai a liquid formation started again. Will keep you posted. Please do share this campaign further with your family and friends. Thank you for the support. Here is an update on Komal. 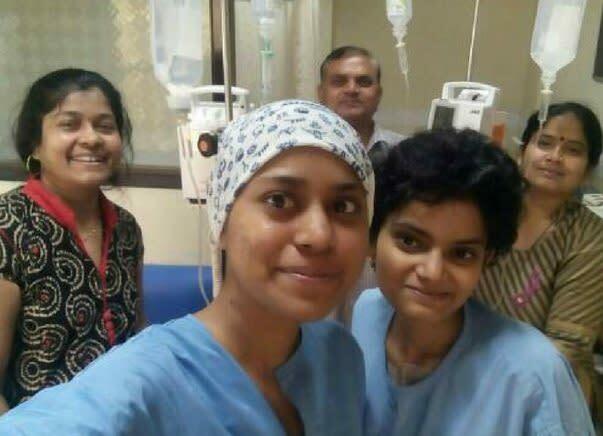 Komal's surgery has been postponed and she is currently undergoing chemotherapy sessions in Lucknow. As side effects of chemotherapy, she is having difficulty in maintaining a particular posture. She has been vomiting frequently; the doctors are administering her treatment for the same. The doctors have advised for checkups once in 7- 8 days. Will keep you posted. Thank you for all your prayers and support. Please do keep her in your prayers. Would request you to share this campaign further with your friends and family.